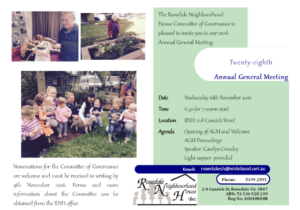 A place for all members of Rosedale and surrounding communities to come together. 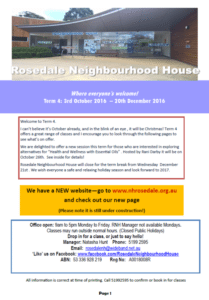 Our aim is to provide a range of social, educational, recreational and support programs and activities in a friendly, caring community atmosphere. Why not drop in and see what we can do for you! 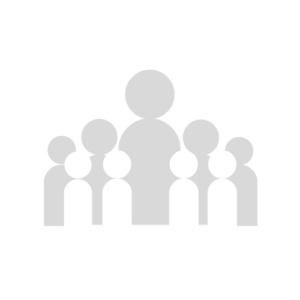 We have quite a few volunteers that are here to assist you with any of your enquires. Pop in with a question, and leave with a smile! Why not become a volunteer yourself? Whatever your skills, there’s always something you can help out with. Need to send an email or find some information online? Pop in and use one of our computers and get the job done fast and easy! Volunteers are available to assist you as well. 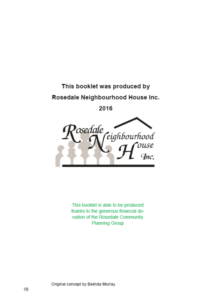 Here at the Rosedale Neighbourhood House, we always have something to cater for everyone. Check out what’s on below, and get involved in the action! 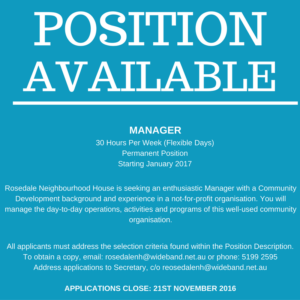 Rosedale Neighbourhood House is looking for a new manager! Could our next manager be you? Download to find out more! Feel free to send us a message at any time!